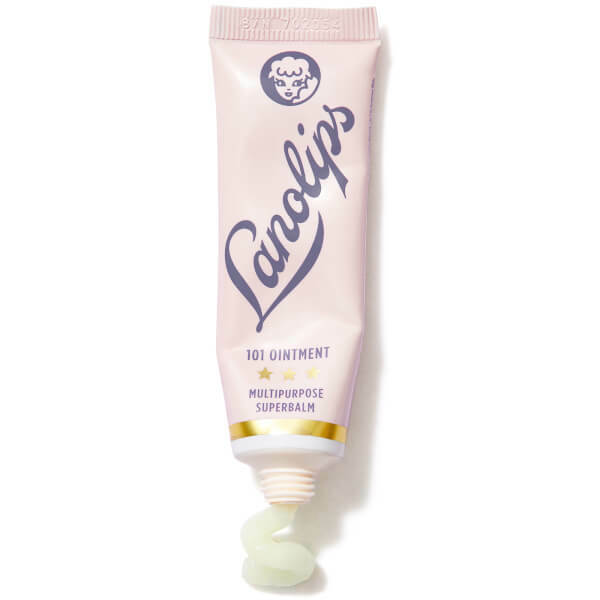 Experience intense hydration with the multi-award winning, multi-tasking 101 Ointment Multi-Purpose Balm from Lanolips. Its 100% natural formula is made with the brand's Ultra Pure Medical Grade Lanolin, also known as Nature's Wonder Moisturiser™ which has a molecular structure that closely resembles and mimics your own skin oils. The versatile, super dense balm has a range of 101 uses; it can be used to treat extremely chapped lips, dry cuticles and itchy skin, or to moisturise dry nasal passages, brittle nails and insect bites. Experience hydrated, soothed and comfortable skin that is silky soft to the touch. Its moisture-sealing formula holds 200% of its weight in moisture and is baby friendly. Free from artificial colours and fragrances, parabens, petrolatum, PEG's, mineral oil and sulphates. Dermatologically tested. Not tested on animals. Vegetarian. Warm the ointment between the fingers or apply directly onto the lips and skin. Use generously. Keep below 25 degrees celcius. Mix with your own moisturiser to supercharge it.